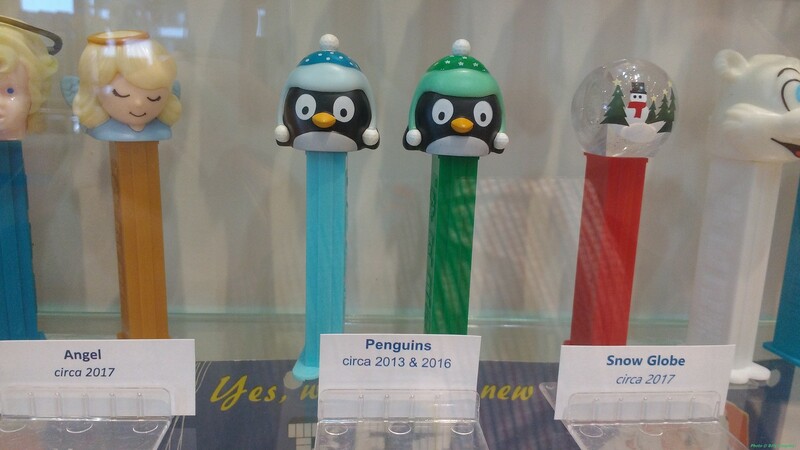 The Pez musuem in Connecticut has a spot for you there! When I saw them today I had to get this close up just for you! Click the link and you can see all 800+ photos I took there. Saw plenty of penguins on ebay. I have 5 Pez dispensers. Presidents Washington thru Monroe. My Mom actually collects them, believe it or not. I have a few Pez dispensers myself. Two of which are different Iron Man helmets.